Fusion Maia Da Nang, routinely rated Da Nang’s top resort, is all about creating the ideal environment in which to relax. 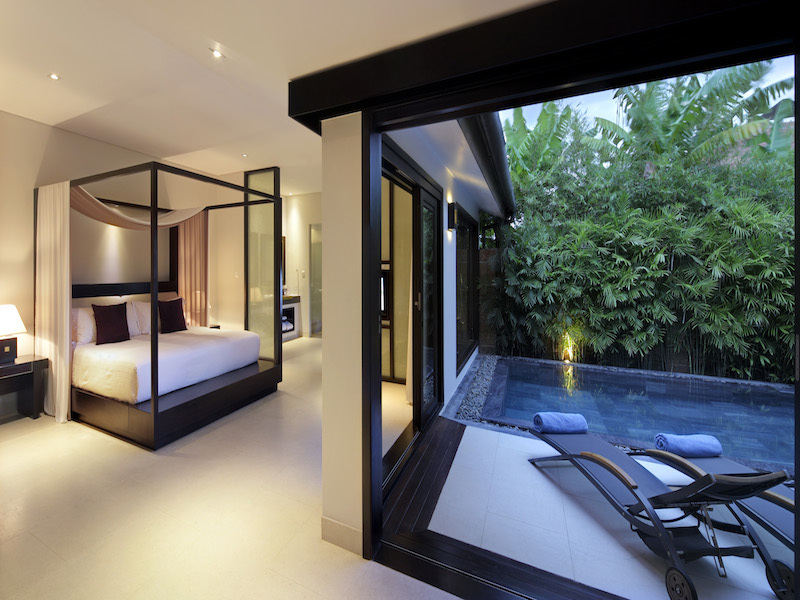 each of its one to three bedroom villas comes with a completely private garden courtyard and swimming pool. Unlike the towering neighboring behemoths, Fusion maia Da Nang revels in understated elegance with no villa taller than the tree line, giving each space a luxuriously secluded feel. At Asia’s first all spa inclusive resort, guests are guaranteed at least two treatments per day at no extra cost and can book more, space pending. Choose from full body treatments like the Fusion signature massage infusing eastern healing and holistic aromatherapy to essential care treatments to rejuvenating facials, scrubs and polishes. No alarm clocks need be set with the resort’s anytime, anywhere gourmet breakfast which can be taken in either of the resort’s two dining venues, in the Tonic lounge bar while surfing the internet on provided iPads, in your room or even in the Fusion Café in Hoi An, where an included shuttle operates four times a day. Complimentary bicycles make it easy for guests to explore the World Heritage-listed town. 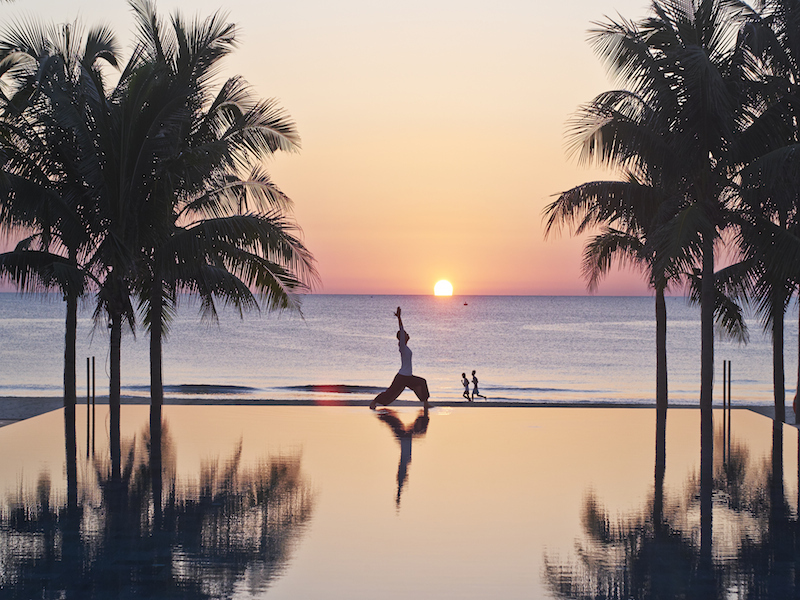 The maia experience focuses on wellness, and a daily program encourages balanced, natural living, with included yoga and tai chi classes throughout the day either on the beachfront deck or in the yoga studio. Classes follow daily themes like eating Well (nutrition) and Open your mind (intellect), ensuring guests will see plenty of variety throughout the week. Additional off-site options (minimal charge) include tai chi on marble mountain, cycling in a coconut grove and a visit to a local Buddhist orphanage. In addition to the spa treatments, guests can while away the day on the beach, around the stunning infinity pool, by a second waterfall pool in the lush gardens of Maia Spa, or spend quiet moments in the cozy library. While healthy meals like the Spa Fusion all-day breakfast with Asian infused egg white omelet and a fresh greens shooter are available along with juicing or raw food items, hedonists will definitely not go hungry with options like warm beef and fresh mustard sprout pizzas or Asian lasagna of pork belly layered between crisp wonton sheets. Whatever you want out of your stay – improved wellness, limitless pampering, a luxe beach getaway – Fusion maia Da Nang invites you to try it all. Doubles start at USD270++, valid until December 20, 2014 and include any time or place gourmet breakfast, two guaranteed daily spa treatments, scheduled shuttle bus to explore hoi An and more. For more, visit www.fusionmaiadanang.com or phone (+84) 511 3967 999.